Shhh… somewhere amongst the trees it’s business as usual for our purpose built little Library. 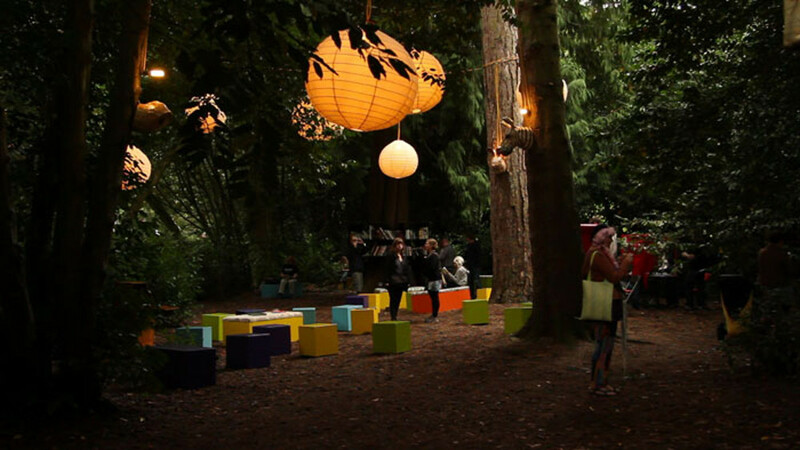 Come and browse the shelves wrapped around the ancient trees and feel free to check out any titles you wish – returning them at next year’s festival. We won’t even fine you if you’re late. The Woodland Library will be open for business as usual in 2019. The Library Stage enjoys its home in The Outlands, with a plethora of writing talent ready to entertain you each morning. More details coming soon.